Wooden cabinets make for beautiful and durable kitchens. Its natural appeal and adaptable state in terms of style and finishing options, make wood a preferred choice for most homeowners. With a large variety of stains, paints and finishes available, you may be unsure of which option is best suited for your renovation. In truth, it all comes down to a matter of aesthetic preference. Stained cabinets will show off the natural features of the wood, including visible knots and slight irregularities. Many homeowners who prefer stained cabinets enjoy the beauty of natural wood and feel paint takes away from its natural allure. Stains come in a variety of colors ranging from light to dark. The staining process involves applying the stain uniformly to the wood surface. 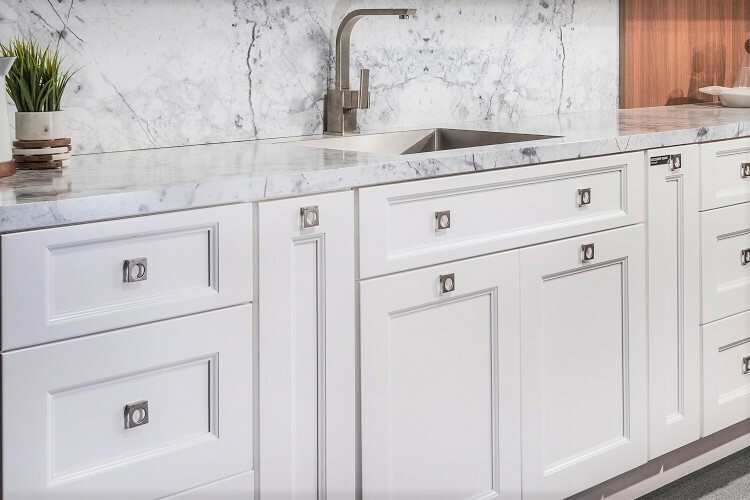 If you're seeking a more uniform and streamlined look, you may prefer painting the cabinetry to create an elegant finish. The most common colors for painted kitchen cabinets are white and off-white, but there are no limits to what one can do when it comes to color. What if you’re wanting a combination of both? Two-tone kitchens allow you to sport one finish, while accents or the kitchen island sport another. Two tone kitchens are an artistic compromise to two beautiful options, adding a visual interest to the overall kitchen design. Finally, a beautiful glaze brings character and charm to a kitchen. Glazing is a finishing process involving hand detailed techniques, and the result means no two doors are quite alike. 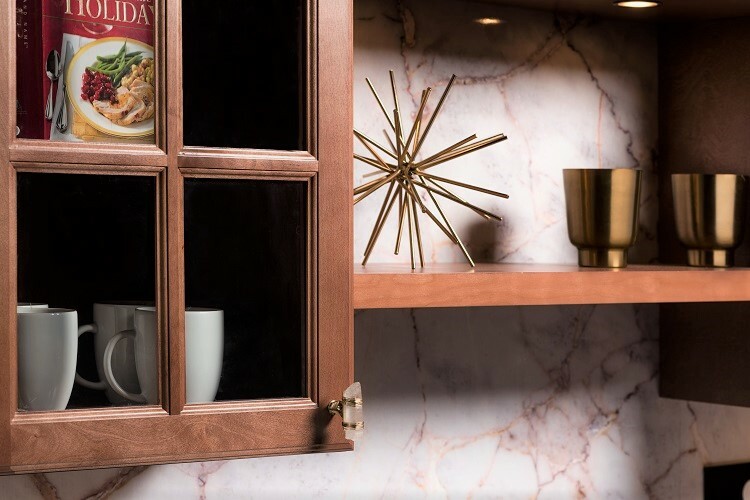 Glaze can add an accent color to the primary cabinet finish (whether painted or stained) and highlight details such as routing, grooves, and edges. Glaze is only applied to the cabinet or drawer front; not the frame or cabinet box. 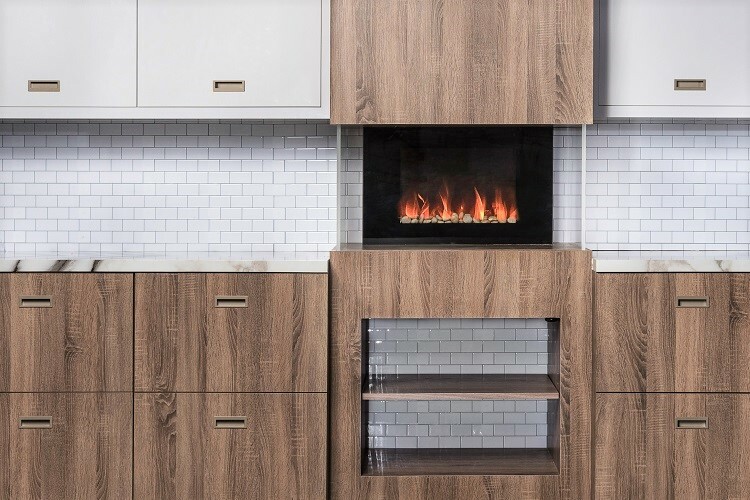 Whichever wooden cabinet finish you prefer, Fabuwood Cabinetry has a beautiful and affordable option for you. Have a few more questions about the differences between each style? Leave us a note below or on social media to keep the conversation going.